Israeli officials believe Gaza explosion was a work accident. 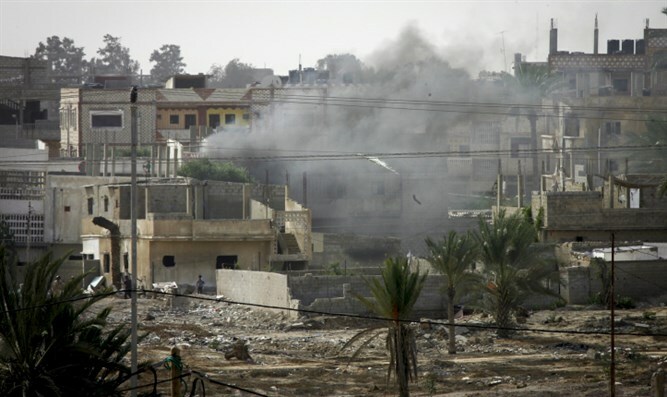 A strong explosion was felt on Saturday evening in central Gaza. Six people died and three were injured as a result of the explosion, Gaza's Health Ministry said. The victims were transferred to a local hospital. Unofficial reports say the injured are members of Hamas' Izz ad-Din al-Qassam Brigade. Israeli officials estimate that the explosion was the result of a work accident, and that those injured were attempting to take apart an old missile, possibly from 2014's Operation Protective Edge.